The Enigma XS is the classic aluminium wheelchair in the Enigma range. 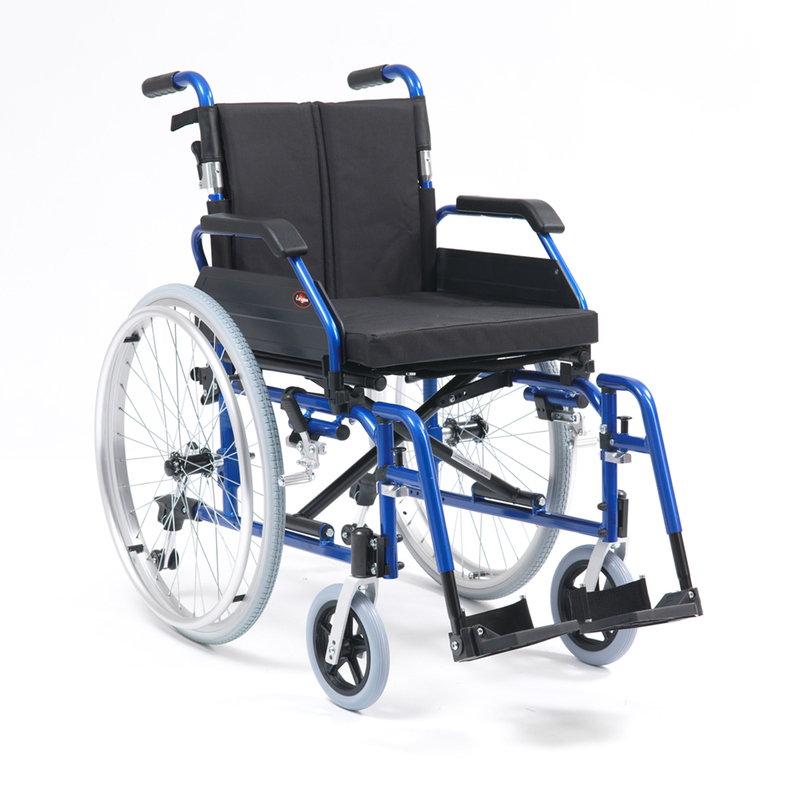 Packed with desirable features such as quick release wheels, deluxe seat and back cushions, fully adjustable foot rests and adjustable anti-tip wheels this is a wheelchair that is great value for money. This self propel version is available in two seat widths - 18" and 20" and two colours - red and blue. An attendant propelled transit version of the Enigma XS aluminium wheelchair is also available. Lightweight aluminium frame in metallic blue or red. 24" self-propel wheel with quick release mechanism.